B-I-N® Aerosol is great for priming interior surfaces and spot priming exterior surfaces. 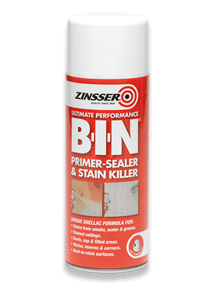 It is formulated to seal, prime and block out stains on previously painted or new work and dries in minutes.B-I-N® Aerosol is great for priming interior surfaces and spot priming exterior surfaces. It is formulated to seal, prime and block out stains on previously painted or new work and dries in minutes. B-I-N® Aerosol is great for priming interior surfaces and spot priming exterior surfaces. 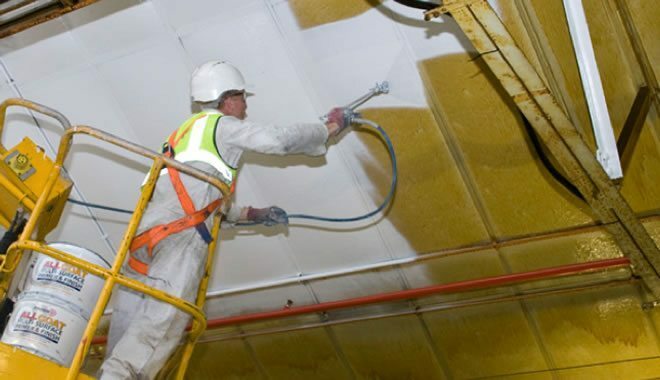 It is for..MOREmulated to seal, prime and block out stains on previously painted or new work and dries in minutes. It permanently blocks every kind of odour, delivering a dry film that is non-toxic and hypo-allergenic. It can be used in areas where incidental contact to food items occurs. B-I-N® Aerosol works brilliantly on interior projects such as ceilings, walls, doors and related paintable surfaces. B-I-N® Aerosol is great for priming interior surfaces and spot priming exterior surfaces. It is formulated to seal, prime and block out stains on previously painted or new work and dries in minutes. Exterior uses include spot priming of water, grease and graffiti stains - and many other types of stains. Prime and seal knots and resinous timber with ease by following this step-by-step guide. Water stains have a tendency to reappear through fresh paint work if they aren’t properly blocked.